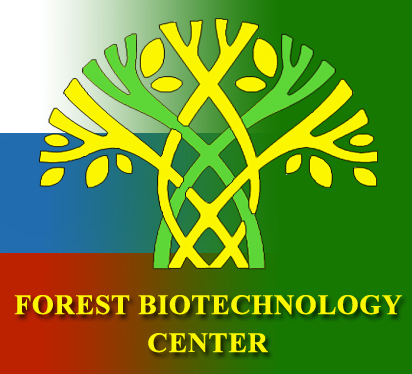 New selection achievements of the All-Russian Research Institute of Forest Genetics, Breeding and Biotechnology: new pine varieties "Krasavitsa" and "Ostrogozhskaya"
As a result of many years of research work our scientists have produced new pine varieties "Krasavitsa" and "Ostrogozhskaya". The respective patents and inventor's certificates have been registered in the national register of protected selection inventions. The "Krasavitsa" variety has been produced under the guidance of our senior researcher, doctor of agricultural sciences A. A. Vysotskii. The "Ostrogozhskaya" variety has been produced under the guidance of candidate of biological sciences N.F. Kuznetsova and candidate of biological sciences O.S. Mashkina. The biological basis for "Krasavitsa" variety is the high variability of trees in resin productivity and heritability of this trait through both vegetative and seed reproduction. The variety has been obtained by plus tree selection of Scots pine, it is suitable for establishing special purpose-oriented forest plantations in the European part of Russia up to the Ural Mountains. Resin productivity of Scots pine plantations, created on the basis of this variety is 150-160% compared to the natural forest. The purpose-oriented plantations, created on the basis of new variety, are particularly important in our country because natural Scots pine stands have low biological resin productivity compared to other pines used to obtain non-wood products in other countries. Fully implemented new plantations can help to replace import of colophony and terebinthinae products widely used in a number of industries. Resin productivity strongly correlates with pine-tree’s resistance to annosum root rot – disease that devastates our forests. The new Scots pine plantations with high level of resin productivity will be highly resistant to this pathogen. Fast pace of climate change and desertification are the major global challenges of our time. 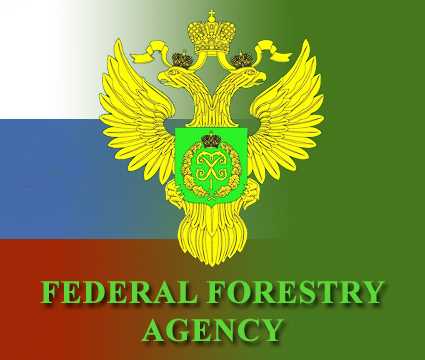 Nowadays in Russia not only the lands of semi-desert and steppe zones are at risk of desertification, but also the adjacent areas of the forest-steppe zone of the South, Volga, Siberia and Far East federal districts. The most valuable species for afforestation in the arid Eurasian lands is Scots pine (Pinus sylvestris L.). Taking into account the long-term negative climate forecast, it is advisable to use the seeds of drought-resistant pine for forestry operations (especially on poor and dry soils). "Ostrogozhskaya" variety has been selected in 2007 during a severe drought. It has proved to be a drought-resistant and highly productive Scots pine population. It was selected on the basis of vegetative and seed productivity on such grounds as the number of cones, the number and percentage of seeds in cones, quality of seeds, etc. The selected population of "Ostrogozhskaya" pine grows on territory of 8.8 hectares and at the age of 38 years has II productivity class. 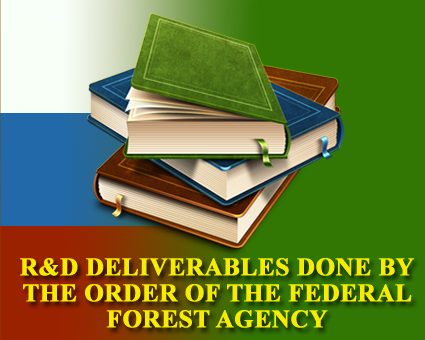 It is located on the border of forest-steppe and steppe zones in Voronezh oblast, Ostrogozhskoye forestry area. In fruitful years it produces an abundant number of male and female flowers, has an increased cone and seed productivity (5 points on a Kapper scale), and also has high sowing quality of seeds. Tree crowns are convenient for cone harvesting. Breeding value of the variety was confirmed during the arid 2007, 2010, 2012 and 2014. During the dry seasons productivity of "Ostrogozhskaya" pine, though lower than in optimal seasons, was still significantly higher than the regional average. In 2007, it shows yield productivity twice as high as Usmanskii pinewood and Stupinskii test plantation. The seed-bearing intensity of variety remained at its usual optimal level of about 70%. The figures of 2010 remained within a range of statistical uncertainty, the cones were large, not coated with resin, the amount of seeds was sufficient and their quality was high. High seed productivity was manifested in the abundance of cones on the ground. In 2012, for the first time in 40 years, there was a total crop failure in the Central Chernozem Region. The reproductive health of "Ostrogozhskaya" pine has not escaped the damage caused by this early drought either: the flowering intensity was 3-4 and yield productivity was estimated as 1 point on a Kapper scale. And in the drought of 2014 there was a reduction in yield of 25%. Given that "Ostrogozhskaya" pine is a drought-resistant and highly productive variety it can be used for studying the nature of drought resistance of pine. This variety can also meet the demand for seeds necessary to obtain planting material which in turn can be used for the creation of forest plantations in the forest-steppe and steppe zones of European Russia.